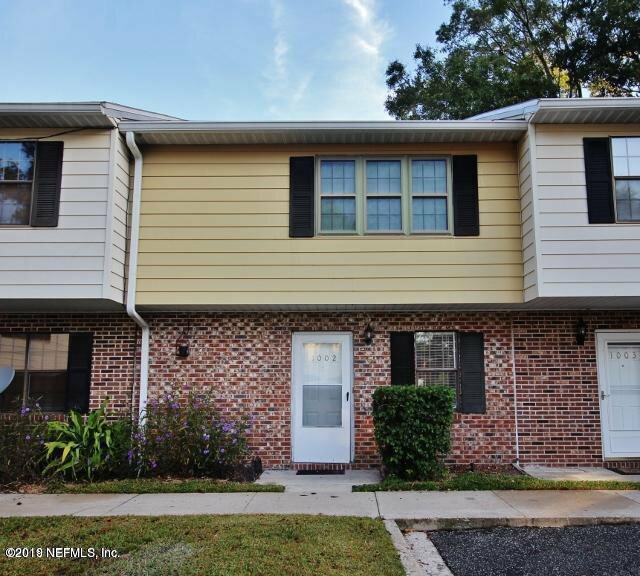 Nice townhome zoned to A-rated schools! Kitchen comes with matching refrigerator, range and microwave. Ceiling fans included in the bedrooms and blinds throughout. New AC installed in December 2017. Pest control and water are included with HOA, as well as Pool access. Washer & dryer hook ups in the unit. Up to 2 pets are welcome. This townhome has 2 parking spaces. Schedule a tour today! Listing courtesy of EXIT REAL ESTATE GALLERY. Selling Office: KELLER WILLIAMS FIRST COAST REALTY.